Looking through my old files, I found a list called “good links” that I don’t even remember compiling. It contained many classic websites and funny stories that hold up over time. Sadly, many of the websites that contained them did not hold up over time, but the most memorable of them live on elsewhere. If you’ve not encountered these stories, posts, and websites before, you are in for a treat. Alex Morando put up a fan site called The Rockford Files Homepage, about the TV show The Rockford Files, starring James Garner, which ran from 1974 to 1980. Private detective Jim Rockford had a cheap but state-of-the-art Dictaphone answering machine at his home, and each episode would begin with a message that had nothing to do with the plot, but often lent a humorous detail to Rockford’s life. The page Jim Rockford’s Answering Machine lists every message aired during the series six seasons. Jim, It's Norma at the market. It bounced. You want us to tear it up, send it back, or put it with the others? This is the Department Of The Army. Our records show that you are the "Rockford, James" who failed to turn in his service automatic in May 1953. Contact us at once. Alice, Phil's Plumbing. We're still jammed up on a job, so we won't be able to make your place. Use the bathroom at the restaurant one more night. The sound icons are no longer linked to the audio files, but you can still play the audio files from this page. Also enjoy the show intro. It’s the story of a boat being pulled completely under a bridge by floodwaters. You may have seen the pictures elsewhere, as they have been passed around for years. Captain Michael L. Smith piloted the boat that went through the bridge just ahead of the pictured Motor Vessel Cahaba—before the drawbridge failed. Smith tells the story to accompany the pictures, with details. It happened in the late ‘70s. The captain of the tugboat, Jimmie Wilkerson, has since died, and the bridge is no longer there, but thanks to an unnamed photographer and internet forums we can still marvel at the adventure. In 1970, an eight-ton whale died on the Oregon coast. The State Highway Division decided the best way to dispose of it was to dynamite it. Well, at least that would turn it into smaller pieces. They seriously misjudged the amount of dynamite needed, and the resulting explosion became legend due to the rain of rotting whale meat rained over the gathered crowds and as far as a quarter mile away. Yes, there were cameras recording the carnage. The event has an entire website called The Exploding Whale dedicated to archiving all available information about the exploding whale of 1970. It debuted in 2005, and is still being updated with whale explosion news. It is rare that a single-subject site is faithfully updated that long, and the ten-year-old existing site is a replacement for a previous site, so it is actually older that that. Making fun of the cheesiness of romance novels is pretty common, even among readers who enjoy them. But the first artist who went viral with the idea was Mark Longmire back in 2005. He bought up a bunch of used romance novels and wrote new titles for them based on what the cover looked like. He said the jokes pretty much wrote themselves. When movies are translated into other languages without studio oversight, as in bootlegs, the quality can vary from pretty decent to abysmal. 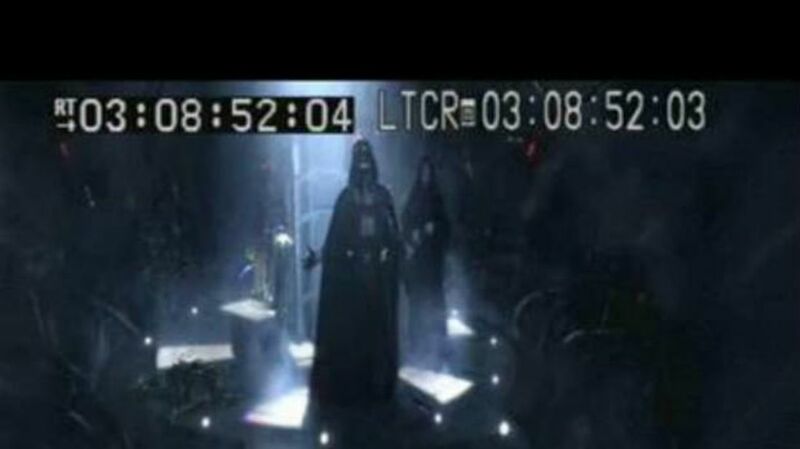 Jeremy Winterson got hold of a Chinese bootleg of Star Wars Episode III: Revenge of the Sith in 2005. It was dubbed in Chinese, so he watched it with the hilariously inaccurate (and sometimes NSFW) English subtitles. The title of the movie was translated to The Backstroke of the West. Winterson posted the funniest screenshots in a legendary post that gave birth to the Do Not Want meme. In 2009, Winterson posted an updated version with even more pictures. Tommy Westphall was a minor character on the TV series St. Elsewhere, a medical drama that aired from 1982 to 1988. In the final episode, it is suggested that the entire series was all a figment of Tommy’s imagination, revolving around the hospital building inside his snow globe. The Tommy Westphall Universe is a TV theory that ties various TV series together according to their characters' relationships with each other and with St. Elsewhere. The graph showing those relationships is massive, and would be much bigger if there had been any updates since 2007. The theory has since been supplemented by the "Munchiverse," which connects even more series together, named after the character of Detective John Munch, played by Richard Belzer, who appeared in quite a few series. The Worm Within by Vincent Eaton is the story of the tapeworm he caught in Belgium and the efforts to rid himself of it. The prose is very explicit and detailed. Whether it grosses you out or not, you will empathize with his despair as if it were your own. The story also spurs readers to share the stories of their own intestinal parasites and other distresses, which can be read in 27 pages of submissions. Anne Verchick told this story in 1999 on a Salon forum that is now defunct, but it’s so funny and such a classic that it’s been enshrined in other places. She posted that she was having some trouble with her dogs and asked for advice. Anne V - 01:01pm Sep 9, 1999 PDT (# 1318 of 1332) Okay - I know how to take meat away from a dog. How do I take a dog away from meat? This is not, unfortunately, a joke. AmyC - 01:02pm Sep 9, 1999 PDT (# 1319 of 1332) Um, can you give us a few more specifics here? Anne V - 01:12pm Sep 9, 1999 PDT (# 1320 of 1332) They're inside of it. They crawled inside, and now I have a giant incredibly heavy piece of carcass in my yard, with 2 dogs inside of it, and they are NOT getting bored of it and coming out. One of them is snoring. I have company arriving in three hours, and my current plan is to 1. put up a tent over said carcass and 2. hang thousands of fly strips inside it. This has been going on since about 6:40 this morning. The carcass belonged to an elk. The story gets better. The veterinarian stopped by, mainly to laugh at the sight, and the dogs ended up trying to bring the carcass into the house. Verchick swore that the story is 100% true and registered astonishment at how popular the thread had become. In her world, it was just another everyday adventure with her dogs. You can see the pumpkin pictures mentioned here. This is one time we are glad there are no pictures of the original event. What classic tales and sites would you add to this list?